*2019 Q50 3.0T LUXE AWD offer based on VIN # KM555235. $1578 INIT. PYMNT. REQ. AT CONSUMMATION (INCL. $0 CONSUMER DOWN PYMNT., $379 FIRST MONTH PYMNT, $499 DOC FEE, AND $700 ACQUISITION FEE) PLUS TAXES AND MOTOR VEHICLE FEES. Vehicles subject to avail. to well-qualified customers who finance their lease through INFINITI Financial Services. Subj. to credit approval. Stock # 19868MSRP $44,445 incl. dest. chrg. Monthly payments total $14,781. At lease end, purchase for $22,666.95 plus $300 purchase option fee (except KS & WI) plus tax, or pay excess wear & use plus $0.25/mile for mileage over 10,000 miles per year. Lessee is resp. for maint. and repairs. Disposition fee due at term. of lease. No security deposit required. Several vehicles available at this price. Not applicable toward prior purchases. Must be presented to Sales & Leasing Consultant at time of purchase. Must take delivery from new stock. See Ray Catena INFINITI of Edison or Ray Catena INFINITI of Bridgewater for details. Image shows a RED SPORT for illustration purposes only. Offer ends 04/30/2019. *2019 Q60 3.0T LUXE AWD offer based on VIN # KM290085. $1738 INIT. PYMNT. REQ. AT CONSUMMATION (INCL. $0 CONSUMER DOWN PYMNT., $539 FIRST MONTH PYMNT, $499 DOC FEE, AND $700 ACQUISITION FEE) PLUS TAXES AND MOTOR VEHICLE FEES. Vehicles subject to avail. to well-qualified customers who finance their lease through INFINITI Financial Services. Subj. to credit approval. Stock # 19709MSRP $52,325 incl. dest. chrg. Monthly payments total $21,021. At lease end, purchase for $25,639.25 plus $300 purchase option fee (except KS & WI) plus tax, or pay excess wear & use plus $0.25/mile for mileage over 10,000 miles per year. Lessee is resp. for maint. and repairs. Disposition fee due at term. of lease. No security deposit required. Several vehicles available at this price. Not applicable toward prior purchases. Must be presented to Sales & Leasing Consultant at time of purchase. Must take delivery from new stock. See Ray Catena INFINITI of Edison or Ray Catena INFINITI of Bridgewater for details. Image shows a RED SPORT for illustration purposes only. Offer ends 04/30/2019. *2019 Q70 3.7 LUXE AWD offer based on VIN # KM585641. $1,798 INIT. PYMNT. REQ. AT CONSUMMATION (INCL. $0 CONSUMER DOWN PYMNT., $599 FIRST MONTH PYMNT, $499 DOC FEE, AND $700 ACQUISITION FEE) PLUS TAXES AND MOTOR VEHICLE FEES. Vehicles subject to avail. to well-qualified customers who finance their lease through INFINITI Financial Services. Subj. to credit approval. Stock # 19853MSRP $53,885 incl. dest. chrg. Monthly payments total $23,361. At lease end, purchase for $22,631.70 plus $300 purchase option fee (except KS & WI) plus tax, or pay excess wear & use plus $0.25/mile for mileage over 10,000 miles per year. Lessee is resp. for maint. and repairs. Disposition fee due at term. of lease. No security deposit required. Several vehicles available at this price. Not applicable toward prior purchases. Must be presented to Sales & Leasing Consultant at time of purchase. Must take delivery from new stock. See Ray Catena INFINITI of Edison or Ray Catena INFINITI of Bridgewater for details. Image is for illustration purposes only. Offer ends 04/30/2019. *2019 Q70L 3.7 LUXE AWD offer based on VIN # KM725027. $1,928 INIT. PYMNT. REQ. AT CONSUMMATION (INCL. $0 CONSUMER DOWN PYMNT., $729 FIRST MONTH PYMNT, $499 DOC FEE, AND $700 ACQUISITION FEE) PLUS TAXES AND MOTOR VEHICLE FEES. Vehicles subject to avail. to well-qualified customers who finance their lease through INFINITI Financial Services. Subj. to credit approval. Stock # 19225MSRP $60,930 incl. dest. chrg. Monthly payments total $28,431. At lease end, purchase for $24,981.30 plus $300 purchase option fee (except KS & WI) plus tax, or pay excess wear & use plus $0.25/mile for mileage over 10,000 miles per year. Lessee is resp. for maint. and repairs. Disposition fee due at term. of lease. No security deposit required. Several vehicles available at this price. Not applicable toward prior purchases. Must be presented to Sales & Leasing Consultant at time of purchase. Must take delivery from new stock. See Ray Catena INFINITI of Edison or Ray Catena INFINITI of Bridgewater for details. Image is for illustration purposes only. Offer ends 04/30/2019. *2019 QX30 LUXE AWD offer based on VIN # KA007126. $1,658 INIT. PYMNT. REQ. AT CONSUMMATION (INCL. $0 CONSUMER DOWN PYMNT., $459 FIRST MONTH PYMNT, $499 DOC FEE, AND $700 ACQUISITION FEE) PLUS TAXES AND MOTOR VEHICLE FEES. Vehicles subject to avail. to well-qualified customers who finance their lease through INFINITI Financial Services. Subj. to credit approval. Stock # 19779MSRP $37,000 incl. dest. chrg. Monthly payments total $17,901. At lease end, purchase for $15,540 plus $300 purchase option fee (except KS & WI) plus tax, or pay excess wear & use plus $0.25/mile for mileage over 10,000 miles per year. Lessee is resp. for maint. and repairs. Disposition fee due at term. of lease. No security deposit required. Several vehicles available at this price. Not applicable toward prior purchases. Must be presented to Sales & Leasing Consultant at time of purchase. Must take delivery from new stock. See Ray Catena INFINITI of Edison or Ray Catena INFINITI of Bridgewater for details. Image is for illustration purposes only. Offer ends 04/30/2019. *2019 QX50 LUXE AWD offer based on VIN # KF133406. $1,638 INIT. PYMNT. REQ. AT CONSUMMATION (INCL. $0 CONSUMER DOWN PYMNT., $439 FIRST MONTH PYMNT, $499 DOC FEE, AND $700 ACQUISITION FEE) PLUS TAXES AND MOTOR VEHICLE FEES. Vehicles subject to avail. to well-qualified customers who finance their lease through INFINITI Financial Services. Subj. to credit approval. Stock # 191152MSRP $44,380 incl. dest. chrg. Monthly payments total $17,121. At lease end, purchase for $24,852.80 plus $300 purchase option fee (except KS & WI) plus tax, or pay excess wear & use plus $0.25/mile for mileage over 10,000 miles per year. Lessee is resp. for maint. and repairs. Disposition fee due at term. of lease. No security deposit required. Several vehicles available at this price. Not applicable toward prior purchases. Must be presented to Sales & Leasing Consultant at time of purchase. Must take delivery from new stock. 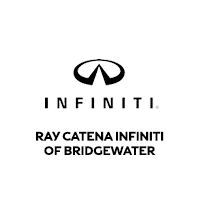 See Ray Catena INFINITI of Edison or Ray Catena INFINITI of Bridgewater for details. Image is for illustration purposes only. Offer ends 04/30/2019. *2019 QX80 4WD offer based on VIN # K9234599. $2,078 INIT. PYMNT. REQ. AT CONSUMMATION (INCL. $0 CONSUMER DOWN PYMNT., $879 FIRST MONTH PYMNT, $499 DOC FEE, AND $700 ACQUISITION FEE) PLUS TAXES AND MOTOR VEHICLE FEES. Vehicles subject to avail. to well-qualified customers who finance their lease through INFINITI Financial Services. Subj. to credit approval. Stock # 191250MSRP $69,895 incl. dest. chrg. Monthly payments total $34,281. At lease end, purchase for $37,743.30 plus $300 purchase option fee (except KS & WI) plus tax, or pay excess wear & use plus $0.25/mile for mileage over 10,000 miles per year. Lessee is resp. for maint. and repairs. Disposition fee due at term. of lease. No security deposit required. Several vehicles available at this price. Not applicable toward prior purchases. Must be presented to Sales & Leasing Consultant at time of purchase. Must take delivery from new stock. See Ray Catena INFINITI of Edison or Ray Catena INFINITI of Bridgewater for details. Image is for illustration purposes only. Offer ends 04/30/2019.